After a great on the snow of the Stubai Glacier we descended to the base-station via the Gamsgarten gondola. 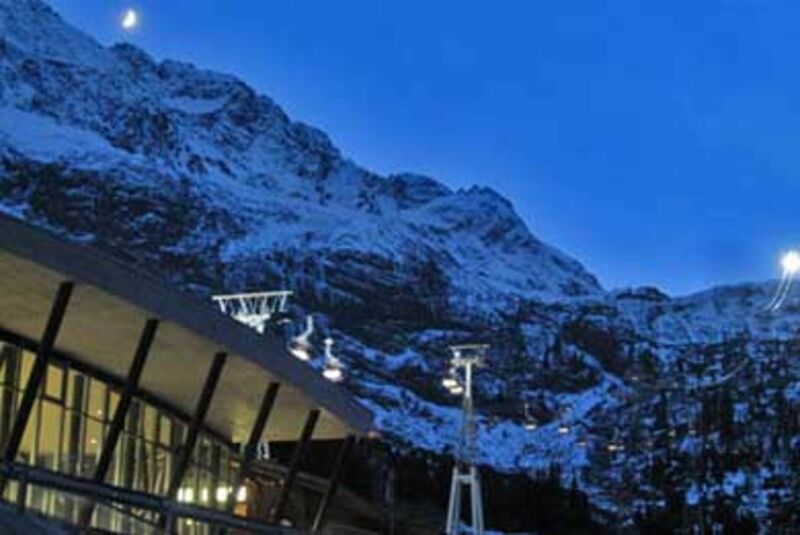 With a chill in the air and kicking off the ski boots I looked up at this from the car park - the moon rising over the ridge and the twin gondolas illuminated in the late autumn afternoon. Not a bad place to be at all!